Can my 2006 350Z Bose stereo play MP3? Also how do I connect my iphone and play itunes music? Need an ipod adapter which attaches to the rear of the bose HU. I ran the cable to the console between the seats under the transmission console. You paid $60K for a 350z? I'm assuming you brought it brand spanking new then? I only paid $47K for my 2008 Roadster, in 2010. Aaaaaaanyway, I've also got to go looking for the illusive "audio in" but in the mean time, because I dont like getting my hands dirty, I just brought a tape desk AUX in adapter, and I plug my phone/tablet into that and set the unit to "tape". You need to make sure the playback device is no more than half volume, and then crank up the BOSE. The only drawback is the tape deck "hiss" between tracks. Other than that, $15 has you playing your MP3's in no time. ....unless you've got Tapes you're using LOL. 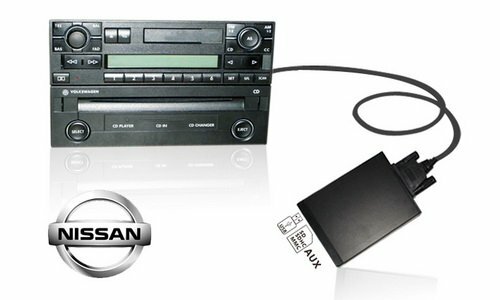 It IS a joke that Nissan were still deploying tape decks and non mp3 CD changers as late as 2008, but it's also a joke that they couldn't fit a GPS unit in the Australian Delivered cars while the rest of the world got them. It's a joke that the stock exhaust is so crap. buuuuuuuut as the end of the day, people pay over $200K for a Ferrari with NO audio system and an engine that "may catch fire if used". Puts things in perspective really. >> " not sure why you like the stock unit that much though , it doesn't even have a screen ! .... Btw you can have an after market that sits just as nice if you use the right frame size "
Hey i bought this http://usaspec.com/v...le_products.php from these guys http://www.ipodcarpr...rt=&filter_id=9 and it works great. I picked it up on trip to the US for about UD$150 , installed myself and i'm a bit of dunce. It is compatibe with the OZ delivery Bose system. I ran the cable to the console tidy. Comes with all the cabling and plug to connect to ipone or ipod. The sound is great!! dont use AUX tape. They sound crap. And the AUX cable comes through the back of the small compartment above the radio unit. So I can easily put the AUX cable back in the compartment and close it. Clean. make sure to message seller and ask if its compatible with your car. Should be. But check. i'll send picture of my setup soon.